Hi, welcome to my closet. 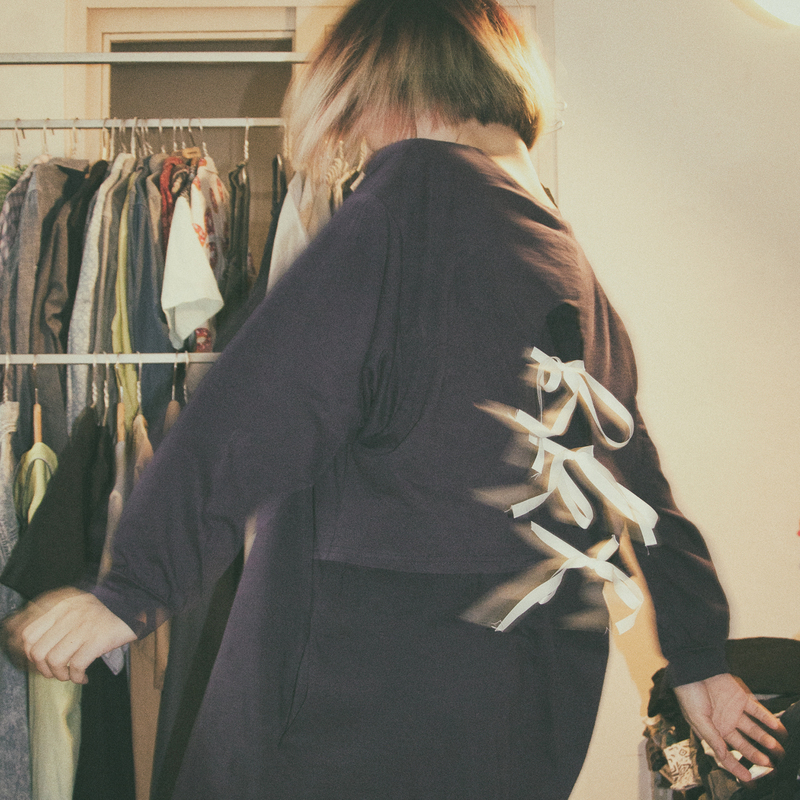 Finally, elng’s closet blog is actually taken inside elng’s closet (haha). I’ve been working on my closet revolution, it hasn’t finished yet but somehow it has enough space for me to take pic and start the whole new series – Closet Talk. I know one fact that anyone who meets me for the very first time, would never notice how rebel I am, because I never try to show off that side of me, maybe these days it’s more reveal because I dye my hair so often in bright colors, but I used to have long black hair like a typical Asian before so it wasn’t shown at all. I mean, being a Asian girl, especially Vietnamese girl, the strength of expressing myself was taken away from me since I was little. I am now looking back at how I was raised, how many rules of being a girl that I had to learn, and how everyone in my family did to show me how a girl should be like – all of those things are so damn crazy. At this time of my life, I know exactly what I should have been taught when I was little ‘How to grow up and be a kind person’, nothing more. As the time I spent growing up, I’m gaining back my strength in expressing myself, because it has a price to do so. For so many things I am doing right now, one of the biggest problem of my family and my society is having tattoos, even my mom cannot stand me having tattoos, and people really think of tattooing as a bad thing to do, gang member or so. I once told my mom ‘Tattoo is a form of art’, and she denied without giving it a second thought. Then I realize that I just keep doing my things and not trying to convince her again. I love tattooing, I mean every forms of art should be respected. People’s interest is different, especially tattoo means more than just a decoration on human’s body. You can love it or hate it, but please respect it – that’s how I think and that’s how my brain works on almost everything. I remember someone told me once: ‘People with tattoos always want to show off theirs’, yea that’s damn right, because tattoos are what meant to be shown off. However, you may never say that I have tattoos if you ever see me in person, and even if you know that I have some on my body, you won’t see them very often. So we can choose whether or not showing off our art, no one has any right judging. I don’t do what people tell me not to do, I do what I want to do and no one can stop me. That’s my rebel side, I don’t really care how people think, my life is mine and my body is mine, who cannot handle them both has no space in my life.